If you live outside of Alabama, chances are you’d never heard of fried green tomatoes until the movie of the same name was released in 1991 based on a novel by Fannie Flagg. 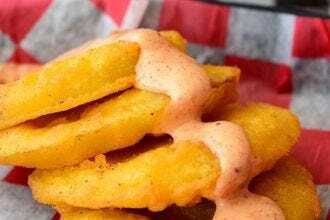 While this golden fried appetizer now seems quintessentially Southern, its origins can actually be traced back to Jewish cookbooks from the Midwest and Northeast during the late nineteenth and early twentieth centuries. 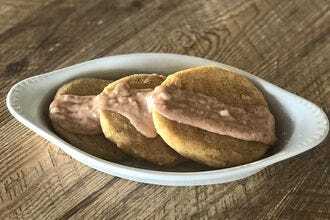 While the fictional Whistle Stop Cafe was indeed based on a real place, it turns out it was Hollywood that truly cemented the dish on the Southern culinary landscape. 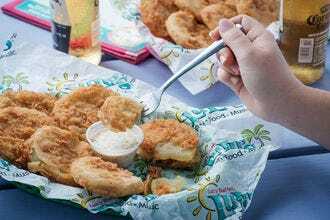 The fried green tomatoes are a guest favorite at LuLu’s in Gulf Shores, where the crispy fried discs come with a side of LuLu’s Wow Sauce for dipping. The fried green tomatoes at The Bright Star in Bessemer are available on the dinner menu and come with gulf shrimp, remoulade sauce and salsa. 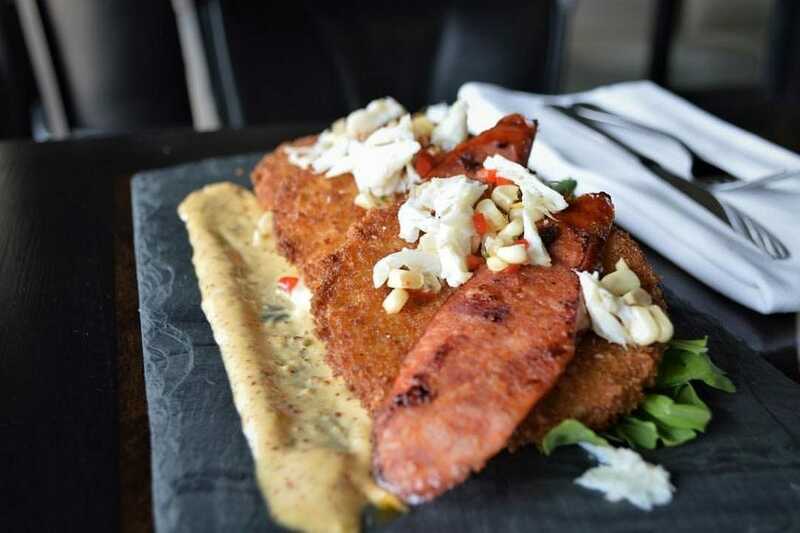 Vintage Year’s take on fried green tomatoes features Cochon andouille sausage, arugula, crab and sweet corn relish, and remoulade. The Irondale Cafe opened in 1928 as a hot dog stand and went on to inspire the fictional Whistle Stop Cafe in the Fannie Flagg novel Fried Green Tomatoes at the Whistle Stop Cafe and subsequent 1991 movie. 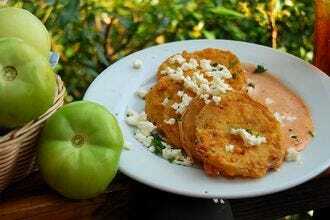 Today, the cafe serves about 600 to 800 slices of fried green tomatoes each day. 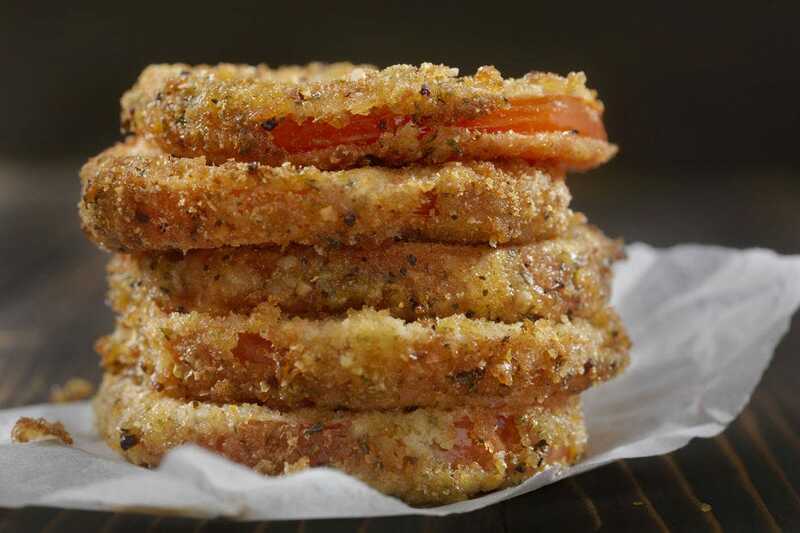 The fried green tomatoes served at Rolo’s Cafe in Huntsville are hand cut daily from the freshest available tomatoes, hand-seasoned with Rolo’s house spice blend and fried to order to a golden brown. They’re available throughout the summer. The fried green tomatoes on the appetizer menu at the Cypress Inn in Tuscaloosa start with Alabama-grown tomatoes, fried and topped with crumbled feta cheese and served with Cypress Inn Memphis dressing. 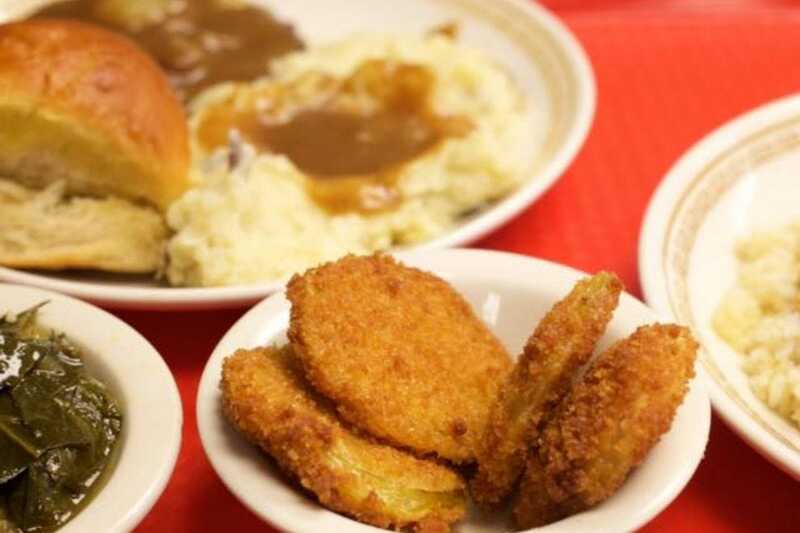 Serving Birmingham since 1957, Niki’s West serves a daily menu, as well as a huge list of always-available options that include fried green tomatoes. 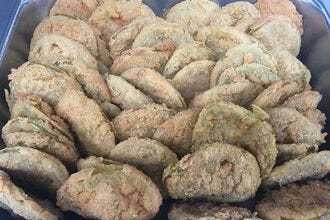 Enjoy them alongside country fried steak, baked chicken or barbecue pork. Everything at G’s Country Kitchen is homemade daily and cooked to order, including the fried green tomatoes, available as a side for Southern favorites like fried chicken catfish or pork chop. 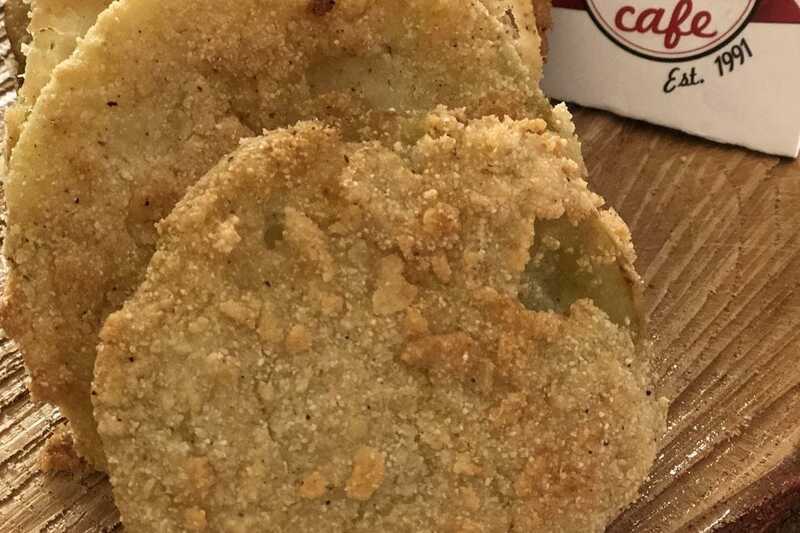 While the menu at Johnny's Restaurant in Homewood changes throughout the year to reflect what’s fresh and local, fried green tomatoes are often on offer as a veggie option alongside comfort food favorites like fried catfish, chicken pot pie and hamburger steak. Fried green tomatoes are among the many sides available at Felix's Fish Camp in Spanish Fort. They also make an appearance as a base for fresh gulf crab cakes with Felix’s famous Comeback Sauce. 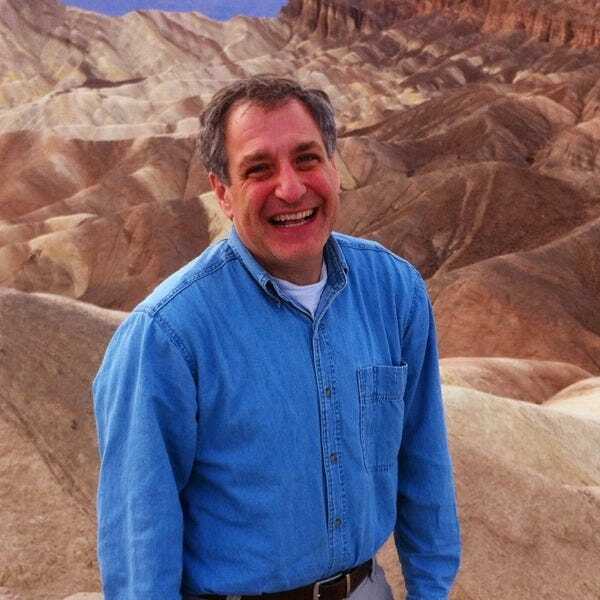 Connie Pearson is a native Alabamian, a former music teacher in North Alabama and a Baptist missionary in Ecuador. Currently, she is a grandmother of 13 and a food/travel writer living in Hartselle, Ala. Connie is a regular contributor to numerous print and online publications in addition to her own blog www.theregoesconnie.com. You can follow her on Twitter, Facebook, Instagram and Pinterest. 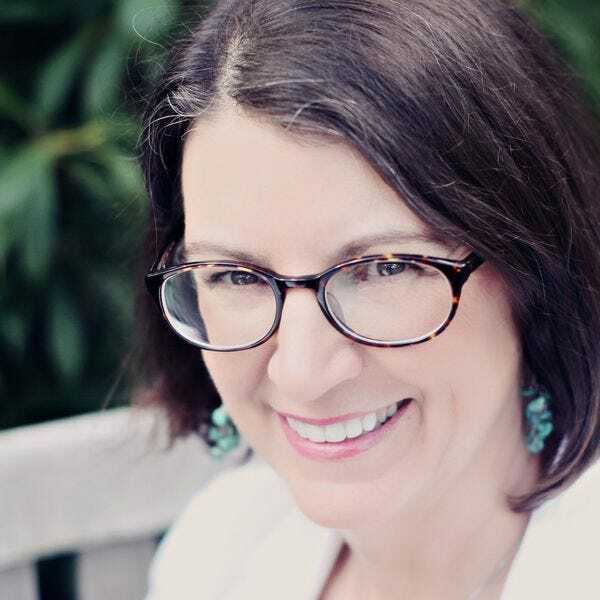 Annette Thompson is a freelance journalist working out of Birmingham, Alabama. 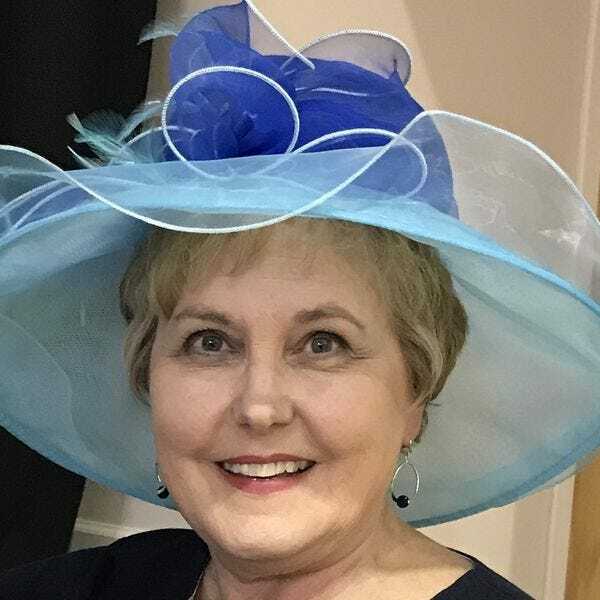 She focuses on destinations around the US and the world after completing a couple of decades as an award-winning journalist for Southern Living magazine and books, including Alabama Barbecue. Her latest project is an online magazine and bi-weekly newsletter called Second Chance Travels. It's aimed at women who have postponed following their own travel dreams while helping their families achieve theirs.